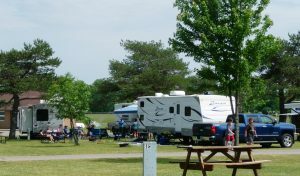 As you travel I-94 between Battle Creek and Ann Arbor, MI and seek a very traveler friendly RV campground, consider staying with Greenwood Acres Family Campground & RV Park for a night or several days. 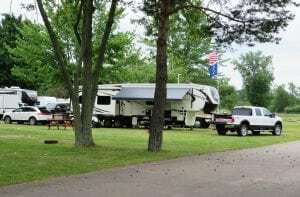 Greenwood Acres Family Campground is a large, fully developed campground with pull through sites featuring full hookups, as well as, a lot of conveniences and fun-type amenities. 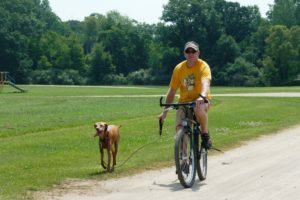 For the rest of the Greenwood Acres Family Campground story, check out the other pages on this website and then book your site! We look forward to having you as our guest, as memories and adventures await you! Remember to bring your furry, family members, as pets are welcome here too. Although, pets must be on a 6' or less leash at all times. They must be licensed and cleaned up after by their owner.